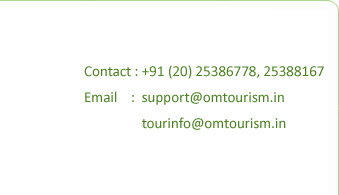 Pick from Gangtok Hotel and transfer to Lachen (9500 Ft / 2896 Mts /. On the way visit Tashi view point, Kabi Longtsok, Seven sister’s water fall Singhik view point (Subjected the vehicle take the normal route). Overnight at Hotel. Day 5 : LACHEN – LACHUNG (60 km/04 Hrs). Today excursion to Chopta valley & Gorudongmar (17800 Ft / 5427 Mts) then transfer to Lachung (8000 Ft / 2439 Mts , 03 to Overnight at Hotel. Early morning proceed on a half day excursion to Yumthang Valley (11800 Ft / 3598 Mts /. On the way visit the Hot Spring and Singba Rhododendron Sanctuary. Overnight at Hotel. Transfer to Gangtok. On the way, see Bhim Nala water fall & Twin water fall. Overnight at Hotel. Day 8 : GANGTOK – PELLING (116 Kms / 05 to 06 Hrs). Morning Go for a half day sightseeing covering Jhakri Water Falls (04 hrs) along with Droul Chorthen, Research Institute of Tibetology, Directorate of Handicraft & Handloom (Closed on Sunday), Flower Show. Afternoon transfer to Pelling (6100 Ft / 1860 Mts, Overnight at Hotel. Transfer to NJP Railway Station / (IXB) Bagdogra Airport, for onwards connection. 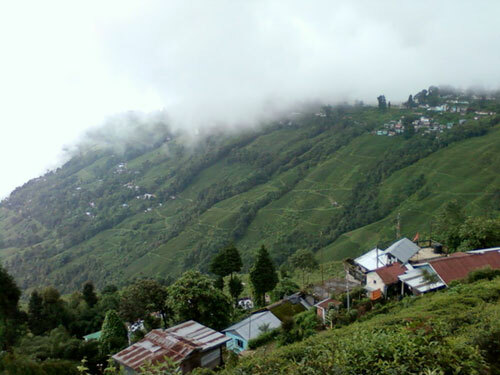 This is a beautiful hill town in North Bengal, which can be reached from either Siliguri or Darjeeling. KALIMPONG - means king"s ministers strong hold - a Bhutanese word. It is also called Kalimpong in local dialect meaning "black spur". As per Lepchas Kalimpong means "ridge where we play". It is said that these local tribesmen used to organise field sports while not engaged in agricultural pursuit - hence the name. Situated at an altitude of 1250 metres, it enjoys temperate climate throughout the year. Somewhat secluded and tucked away in the corner under big Darjeeling umbrella, Kalimpong offers a quiet and relaxed holiday, against the backdrop of the Kanchenjunga. The journey from Darjeeling to Kalimpong is a beautiful experience. The road drops from Ghoom 7407ft. 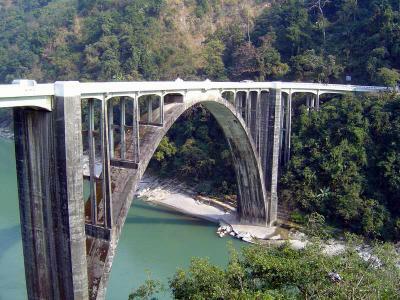 to Teesta Bazar 700 ft in 12 km and passes through lush green forests and tea gardens. A place called the Viewpoint or "Lovers Meet", offers excellent view of the confluence of the Rangeet and the Teesta rivers, as also of the Himalayan mountain range from Durbindara summit. Kalimpong"s attractions include three Buddhist monastries, orchid nurseries, a sericulture centre and Dr. Graham"s Home, a large sprawling school set up in 1900 for educating the children of tea workers. Best Season :	March to mid-June & Sept. to Dec. Clothing :Tropical in summer and light woolen in winter. Languages : Spoken English, Gorkha, Bengali & Hindi. Kalimpong is connected to all the major cities of India by Air, Rail and Road. AIR : The nearest airport is Bagdogra which is 80 kms from Kalimpong. RAIL : The nearest railway stations are Siliguri Junction & New Jalpaiguri Railway Station. ROAD : Kalimpong is connected to Darjeeling, Siliguri and Gangtok by road through buses, jeeps and private taxis. A unique educational institution, started in 1900 by Dr. John Anderson Graham, a Missionary, with six orphans, the school, situated in a 500 acre estate on the slopes of Kalimpong"s highest hill, Dealo, has today a strength of well over 700 boys and girls who are accommodated in small cottages in a picturesque set-up. It has its own diary, poultry and bakery and every year in the month of May the school organises "MAYFAIR". A day"s visit there can be enthralling. It is the highest point in Kalimpong accessible by car. 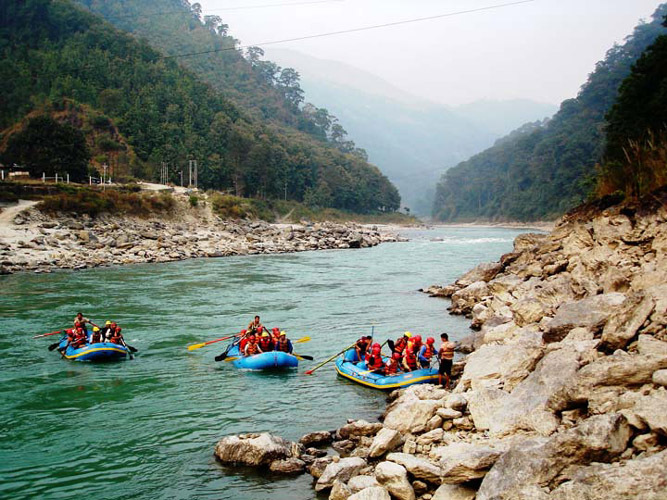 It offers a breath-taking view of the plains and the mighty Teesta. Situated about 2 km from the town centre on the way to Durpin Dara, Gauripur House was one of the favourite haunts of Poet Rabindranath Tagore. He stayed there on his many visits to Kalimpong. Your visit to Kalimpong won"t be complete unless you spend several hours or better still, several days at the two Kalimpong bazars, one on the Main Road, the other near the 10th mile. It is a unique experience to see villagers turning up in their local costume at the bazars on weekly market days to sell their farm products. Kalibari is about 2 km from town Huge statue of Goddess Kali, the main deity of this temple. 3 km from the town on the way to Teesta Bazar. A panoramic view of Teesta Rangeet Valley can be seen from here. Kalimpong is famous for its nurseries which export exotic flowers like Amaryllis LiLies, Anthuriums, Roses, Gerbera, dahlias, gladiolas as well as Orchids and Cacti. Some important nurseries are : Brindaban Garden Nursery, Ganesh Mani Pradhan Nursery, L.B. Pradhan Nursery, Pinewood Nursery, Standard Nursery, Shangrila Garden Nursery, Twin Brothers Nursery, Universal Nursery and others. 1 km from town. Situated at 10th mile this monastery of Bhutanese origin is built in the year 1630 and it is the oldest monastery in this region. It is situated at Tirpai Hill and built around 1937 belongs to Gelupka Sect to which the present Dalai Lama belongs. This recently constructed place of worship is a marvellous piece of architecture. This is a fairly new monastery located in Durpin Dara. One can get a panoramic view of the town and surrounding from this monastery. 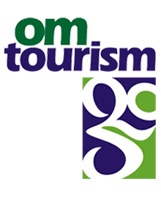 26 Km from Kalimpong and was established in 1837. Rissisum: 20 Km form Kalimpong enroute Lava and situated at an altitude of 6410 ft. glorious view of the mountains can be obtained from this point and a beautiful picnic spot. 32 km from Kalimpong and situated at an altitude of 7200 ft. commands panoramic view of Jelep La and Rechi La passes. Short drives through dense forests from Kalimpong are tourist spots with unspoiled idyllic surroundings. Lava is the gateway to the Neora National Park. 56 km from Kalimpong and situated at an altitude of 5500 ft. Panoramic view of Kanchenjunga can be obtained from this point. Fabulous view of Sunrise over Kanchenjunga can be seen from Jhandi Dara. Toll tax parking and driver allowances. Difference in cost arising due to change in Fuel price. Note : All information is issued in good faith and is for guidance only. The management reserves the right to amend any of the above dates, rates, durations routes or hotel reservations at any time without notice. Terms & Conditions apply.